There isn’t a single set service that applies to all cars. It honestly depends on your car, it’s status and the deals offered by the various garages. Each car has its own servicing schedule- usually enclosed within the manual pack- and this should be followed in order to keep your vehicle at optimum performance and to ensure it lasts as long as possible. With that said, the most commonly quoted bands are an Interim & Full service. You can check which one is required as per your car servicing schedule. If you have lost this, MyCarNeedsA.com can deliver an interim or full car service quote suitable for your needs. As ever we recommend having the best level of service you can afford and to always check what is included in a service before you book your car in. It is also worth mentioning that, whilst not commonly quoted as a “service”, an option is to simply have the oil and oil filter changed, which is the cheapest level of care you will find. Your service book won’t be stamped, your service clock won’t be reset and whilst a visual safety inspection will be undertaken, no thorough checks will be made on your car. Some garages might occasionally advertise major services. 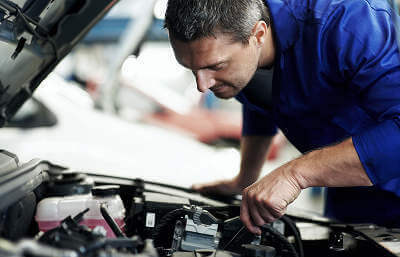 These usually include everything covered in a full service in addition the changing of spark plugs, fuel filters and more, as specified in your car’s servicing schedule. These are very extensive and equally expensive and we would advise you be sure to find out what the chargeable extras are before you leave your car at the garage. It could well be you could get a better quote from another garage and you’re always welcome to check with MyCarNeedsA.com for any potential deals that might improve on it. An interim service is the most basic level of car service which will get you a stamp in your service book and the car’s service clock reset, if applicable. The oil and oil filter will be changed, some additional safety checks will be made and some moving parts will be lubricated. The checks will be centred around the horn, lights, brakes, fluid levels, exhaust, tyres and searching for any fluid leaks in the car. A full service includes all the same tests in the interim service, in addition to an further 29 points of interest. Typically included will be top ups of the brake fluid and antifreeze, more brake checks, inspection of the engine, wheel bearings and shock absorbers and replacement of pollen filters/inspection of the air conditioning system are usually included too. A full service usually includes everything apart for any parts specified as requiring replacement in your vehicles servicing schedule, such as fuel filters, spark plugs etc. These can be added as chargeable extras or, some garages refer to it as a major service and will charge accordingly.